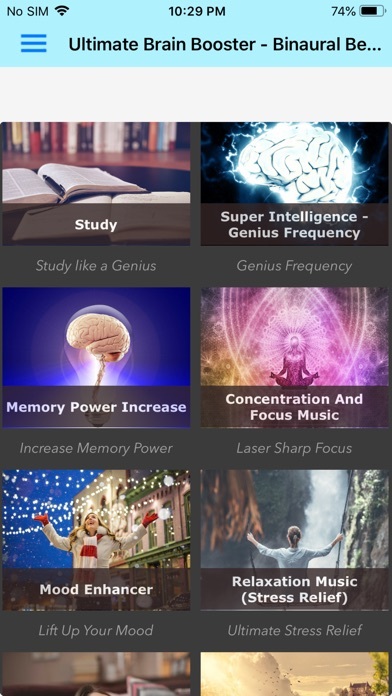 Ultimate Brain Booster is a collection of Binaural Beats which are pure sine waves beats which helps you to tune your mind to any desired state. 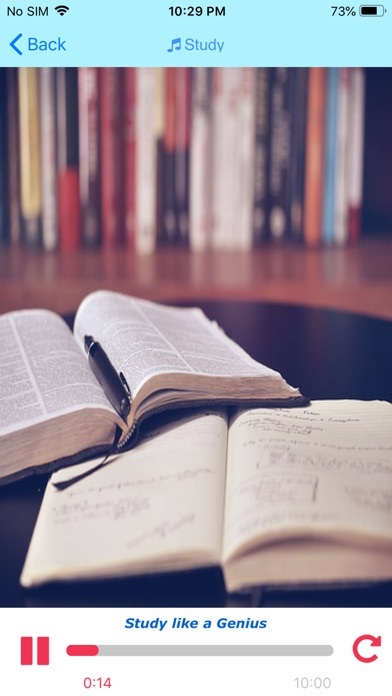 With the help of this app, you can: -Aid your study sessions with study music. 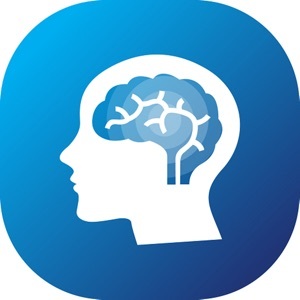 -Improve your memory reacalling power. -Increase your attention span with concentration/focus music. -Improve your mood with mood enhancer alpha music. -Relax your mind with relaxation music. -Develop a Positive Mindset with the help of desired brain state. -Aid your sleep with sleep music. -Listen to Meditation Music and open your chakras. You can naturally shift your consciousness and intensity of your thoughts by listening to these 'Binaural Beats'. You can achieve almost any desired mental state with the help of these beats. 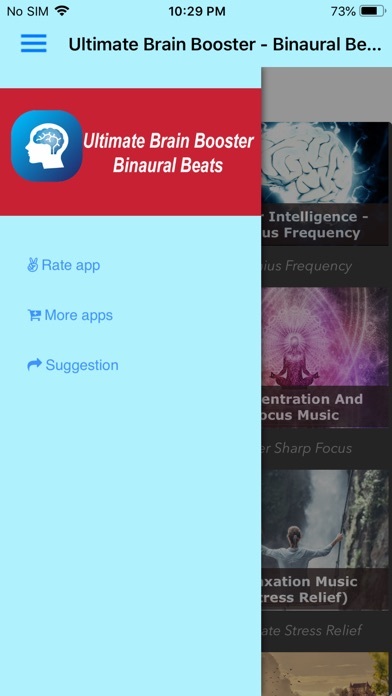 There are 5 types of binaural beats and these are the main features of it: Delta Waves: Sleep Theta Waves: Deep Meditatopm Alpha Waves: Relaxation Beta Waves: Concentration and Cognition Gamma Waves: Intelligence and Memory You don't have to worry of frequency settings and technical sections because we have arranged the binaural beats according to their effects on the human brain. The science of binaural beat is really simple. One sound frequency in one ear, and another sound frequency in the opposite ear, creating a two-tone effect in the mid-brain that is actually perceived to be one tone. This causes an "Entrainment " effect in the brain that has a variety of results including relaxation, reduced anxiety, memory recall, increased intelligence (long-term) etc. Special Note: Always wear earphones or headphones while listening to binaural beats to enjoy highest effectiveness. Buy Ultimate Mind Booster and provide us your feedback in the feedback section! Wish you a happy and a healthy life.